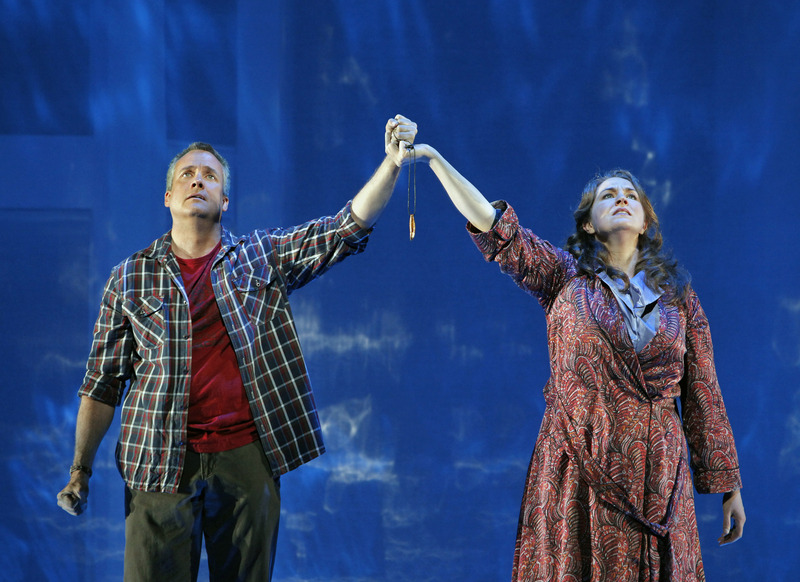 Above: The San Francisco Opera’s “Heart of a Soldier.” Below: Susan Rescorla (played by Melody Moore) and Rick Rescorla (Thomas Hampson). Photos by Cory Weaver/San Francisco Opera. Shortly after the attacks on the World Trade Center, New Yorker writer James B. Stewart was asked help out with reporting on the tragedy. He ran across the story of Rick Rescorla, who had been in charge of security at Morgan Stanley and who had shepherded 2,700 employees of the firm down 50 flights of stairs and out of the South Tower after the North Tower had been hit. But then Rescorla decided to go back inside to be sure all the workers had made it out. And that’s when the second plane hit the South Tower. Rescorla was never heard from again; his remains were never found. He left behind a wife, Susan, whom he had married just two years earlier when both were in their late 50s. As Stewart discovered, Rescorla was a fascinating man, a soldier of fortune, born in Cornwall, England, during the Second World War, when American soldiers were all around. He fought in Rhodesia, as a hard-drinking member of the British Military Police; he killed a lion that was harming villagers and wore its tooth the rest of his life. Eventually he came to America, joined the Army, became an officer, fought in Vietnam and earned a reputation as a true hero. He was fearless and capable; he risked his own life countless times, and he saved the lives of hundreds of his fellow soldiers, to say nothing of his fellow workers in the World Trade Center. Late in life he met Susan; both of them were divorced. Their friendship quickly grew into love, and eventually they were married. Stewart wrote about Rescorla again in a book, “Heart of a Soldier,” which Time magazine called “the best nonfiction book of 2002.” The story and the terrible ending were as dramatic as any opera, and perhaps more real. Now, the San Francisco Opera is presenting “Heart of a Soldier” based on Stewart’s book. The idea for the opera was suggested by Francesca Zambello, who is directing the production with gusto. I talked with her at a rehearsal I attended at the San Francisco Opera House while preparing a television piece for the PBS NewsHour. The opera is short — two acts in less than two hours. A principle challenge was to take in the whole scope of the story, which starts in Cornwall during World War II. 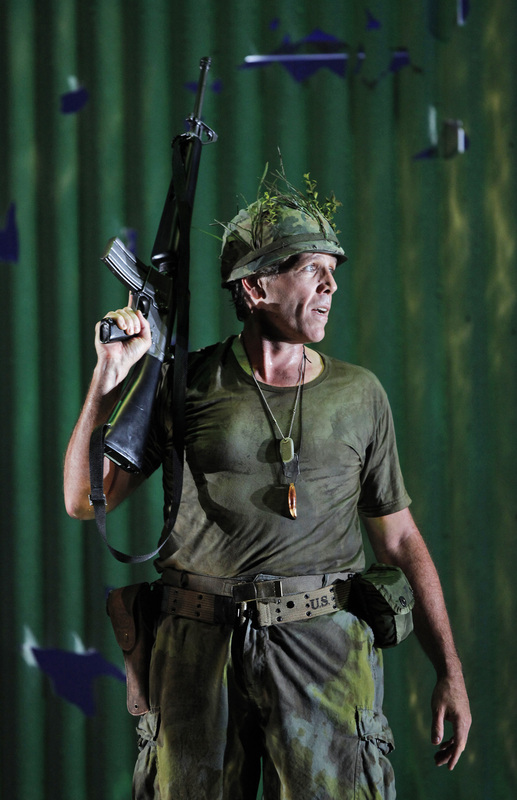 The opera relates Rescorla’s adventures in Rhodesia and Vietnam, his abiding friendship with a fellow soldier, the romance of his relationship with Susan and the tragic ending. That’s a tough scenario to write and perhaps even tougher to compose. American Christopher Theofanidis wrote the music, and he agrees the large time span of the action was a tough hurdle. Also difficult for Theofanidis was dealing with the ending: the death of Rescorla and his wife’s reaction to it. “Heart of a Soldier” is more than just a commemoration of 9/11, 10 years later. Its creators think that unlike many contemporary operas, it will live beyond its world premier. The story is universal; the characters are real people; the situations are familiar. Whether it works as opera is the question audiences will have to answer. 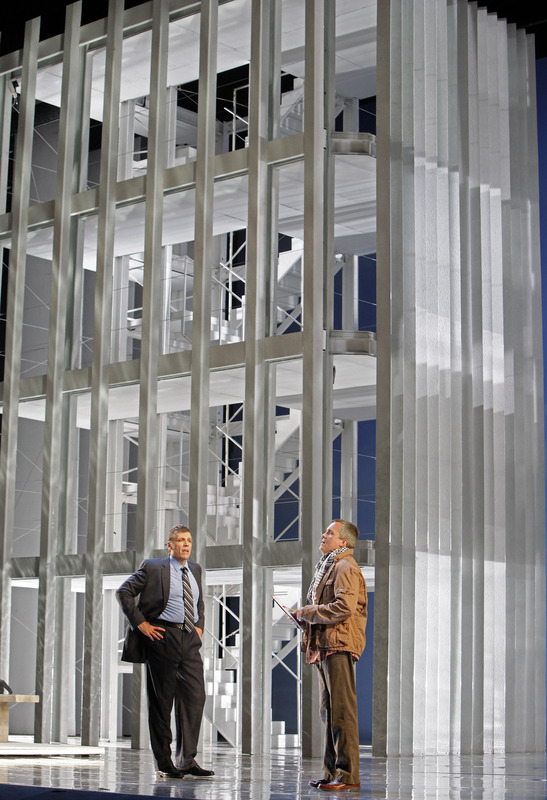 Seven performances, starring Thomas Hampson as Rick Rescorla, and Melody Moore as Susan Rescorla, run through Sept. 30. Editor’s note: All this week, the NewsHour will look back on 10 years after 9/11. We’ll have coverage online and every evening on the show leading up to a special program, “America Remembers 9/11,” which will air on Sunday evening (check your local listings for times).